Although current literature on the presence of invasive species in Belize is limited, a recent discovery of lionfish (Pterois volitans and Pterois miles) off TurneffeIsland may bring more attention to this important issue. Estimated to cost economies billions of dollars per year, invasive species also cause extensive environmental harm and are the second leading cause (after habitat loss) of species being listed as threatened or endangered. Native to the sub–tropical and tropical Indo–Pacific region, since the mid-1990s lionfish have been observed along the southeast coast of the US. 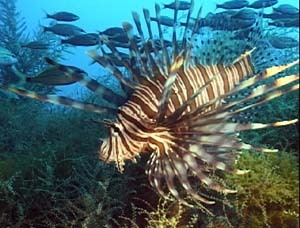 As a favorite specimen of aquarium enthusiasts, it has been speculated that lionfish were introduced to the environment from a private collection. Over the past decade, scuba divers and researchers have received reports of lionfish throughout the Bahamas, Bermuda and Cuba. Several countries have facilitated efforts to control local populations, whether it is easing regulations to permit catching lionfish or promoting lion fish recipes. 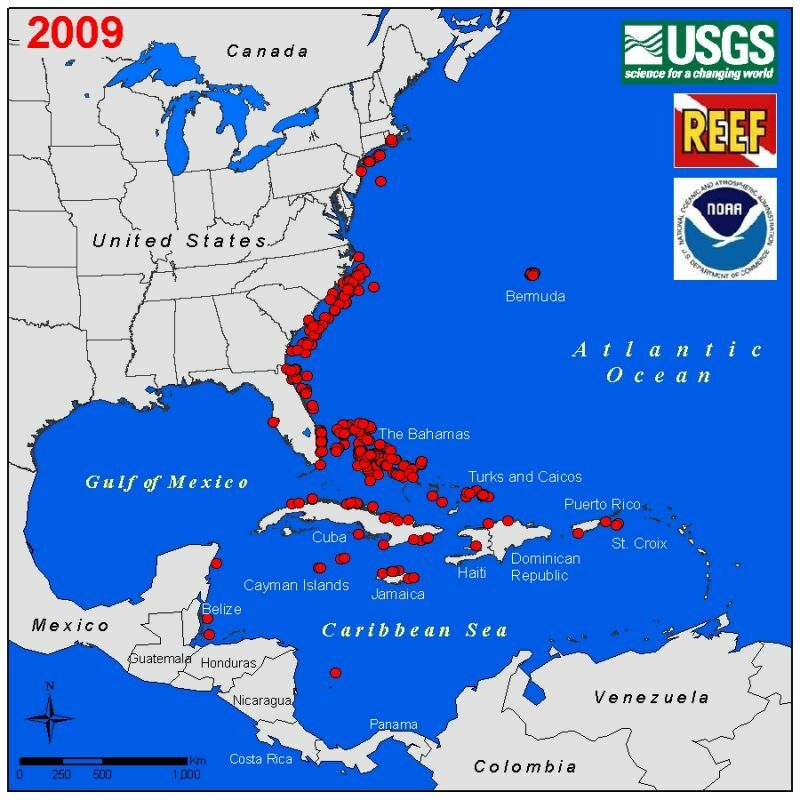 Migrating throughout the Caribbean, reports in January 2009 indicate lionfish have arrived off the coasts of Turneffe Island. Having no natural enemies, researchers at NOAA are investigating the species’ distribution and density, life history, tolerances to temperature, and genetics to determine the extent of impacts lionfish may have on native fish populations and other fishery resources. According to scientists from OregonStateUniversity, prey items found in lionfish stomachs suggest lionfish may eat the juvenile spiny lobster, reduce recruitment of coral-reef fishes and decrease the abundance of fishes that keep seaweeds and macroalgae from overgrowing corals. Belize’s only efforts to control this voracious predator.